Show your plants some love with a proper nutrient plan and feeding schedule! 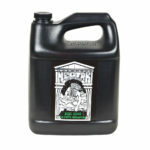 General Hydroponics is one of the oldest and most trusted nutrient lines on the market. 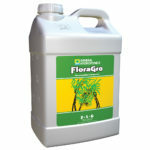 Their Flora Series is a user-friendly 3-part base nutrient system and one of our best sellers. Ask us about their range of supplements! Nectar for the Gods is an honest-to-goodness fertilizer program. Completely organic, this calcium-based line is for those who care about putting the cleanest and most gentle natural input into their plants. CYCO is a protein-based nutrient line using only pharmaceutical and analytical grade chemical inputs, the highest grade of purity manufactured. This Dutch-style 2-part base is particularly great for coco, but will also yield excellent results in soil or hydro. Technaflora offers some of the most popular additives on the market. Their feeding schedule is based not by week but phase of plant growth, making it easy to tailor to your genetics. 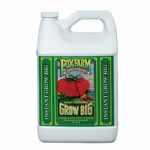 FoxFarm is an organic-based line and one of the most popular in the country. 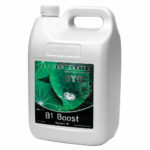 Their Bush Doctor supplements are focused cultivating the most productive rhizosphere possible to support large yields. 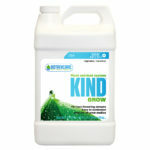 Goldleaf now proudly offers Botanicare’s KIND line of nutrients. 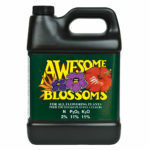 This 3-part Grow, Bloom, and Base formula is easy to customize to suit your needs based on water condition.